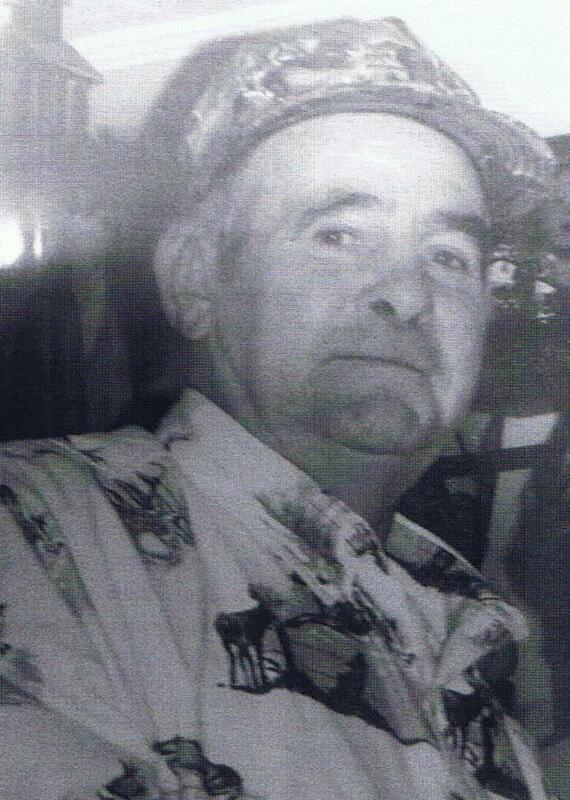 Roy Craig Phillips 71, of Jersey, Arkansas, formerly of Carlisle went home to be with the Lord on Monday, June 3, 2014. He was a painter by trade and enjoyed fishing, hunting, and drinking coffee on the front porch of his home, “Lazy Acres”. Roy was born April 29, 1943 in Prairie County, Arkansas. He was preceded in death by his parents, Othea and Berthia Phillips and siblings, Ola Putt, Wayne Phillips, and Joyce Ingle. He is survived by his eight children, Roy Joe Phillips, Carolyn Wilson, Shawna Lenz, Bobby Douglas, Raymond (Kathy) Douglas, Robin (James) Wilson, Lori (Darrin) Purfaoy, Shannon (Lance) Hollis; siblings, Finus Phillips, Ruth Morgan, and Etta Edens; 15 grandchildren and 11 great-grandchildren. Roy was divorced from Vera Antrobus and Carolyn Phillips. Visitation will be Friday, June 6, 2014 from 6:00 to 8:00 P.M., at Westbrook Funeral Home in Hazen. Graveside service will be 2:00 P.M., Saturday, June 7 at the Center Point Cemetery. Uncle Roy always had a good joke and fun to be around. Good man that I enjoyed talking to very much. He will be missed. Roy was a great friend to me I’m going to miss him. I can’t help but think of all the fun and laughter we have done all through the years at the deer camp and when he built his little house and then had it moved to LAZY ACRES . He was a friend who always put his friends first. Buddy Blane was one of them whom we still miss so much. All the deer campers will surely miss him. I pray the Family is all ok and again I will miss him dearly. He will always be in my heart!!!! Today I returned to work, got there 4 hours early. Thought I could get some relief from the grief. I know you don’t want me this sad. Dad. I love you and miss you. Thank you Again Daddy for being the kind, honest, hardworking, joke telling, blue grassing Daddy you was. You was spoke of in such honor by so many of our friends. Mrs. Dixon and Denny called you dirtdauber.. ha ha but she said your dad was the exception to what the world is today, I never felt more proud as when she said that b/d you was getting the respect you deserved. Dad…I am sorry that your wishes are not getting the respect you deserve now, I only pray that you and your wished be respected, i hope God is in the hearts of those that choose… but you raised me from the time I was 4 months old and you raised me to do the right thing even when others don’t and all I needed was others to see what I already know. That you listed me as your child in your hand writing, others can deny I am your baby girl, they will answer one day. Dad I know you don’t like to see me so sad and I am really trying to get it together and carry on so dad…rest in peace no matter what is going on here on earth. Know that I cherish every memory, thousands of photos with you, and my faith in God. I love you, honor you, miss you and Thank you Again. Dad I miss you so much and the last week has been hard. The thing I want you to know is you were loved by many. I want to thank you for the best memories I could ever ask for. Dad you left a lot of good friends here on earth, I have heard so many good things about you, I already knew them. I just wanted to tell everyone that has supported my family in this past week “thank You” Your love, your support and prayers are appreciated. Dad you left your “little piece of Heaven” (Lazy Acres) for the best gift of all : To be with the Heavenly Father. I know you wouldn’t want me to be sad, but I miss you. Dad enjoy your homecoming and the things here on earth will work out. Love you Dad!